Price tiers subject to change without notice. Add personalization to any tag for $0.99. Minimum Order Requirements: Minimum Order for Retail Accounts is 24 tags. Retail display will be provided at no charge for all orders of 96+ tags. 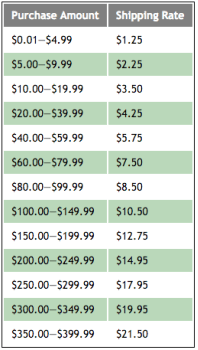 Cost for the display is $20.00 if display is desired, but order is less than 96 tags. Order Lead Time: Orders will be shipped within 7 business days of receipt of order. Expedited delivery can be arranged. Normal delivery will be by UPS ground delivery. New Account Terms: Prepayment by credit card or COD is required on all new accounts for orders under $500.00. Priority shipping is ONLY available to addresses within the United States. 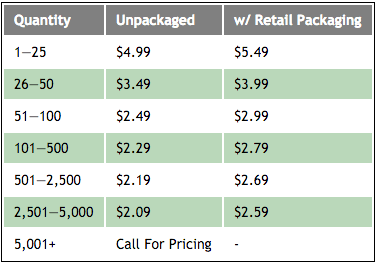 Allow 7-10 business days for product delivery. If a rush delivery is required,please contact us by phone, fax or email. We will try to accommodate any client request, if possible. At this time we can quote various delivery options and rush charges, if applicable.